With the luxury of a large metropolitan area and warmth of a friendly Western city, religious group travelers will find a mix of religious and cultural backgrounds in Salt Lake City, Utah. 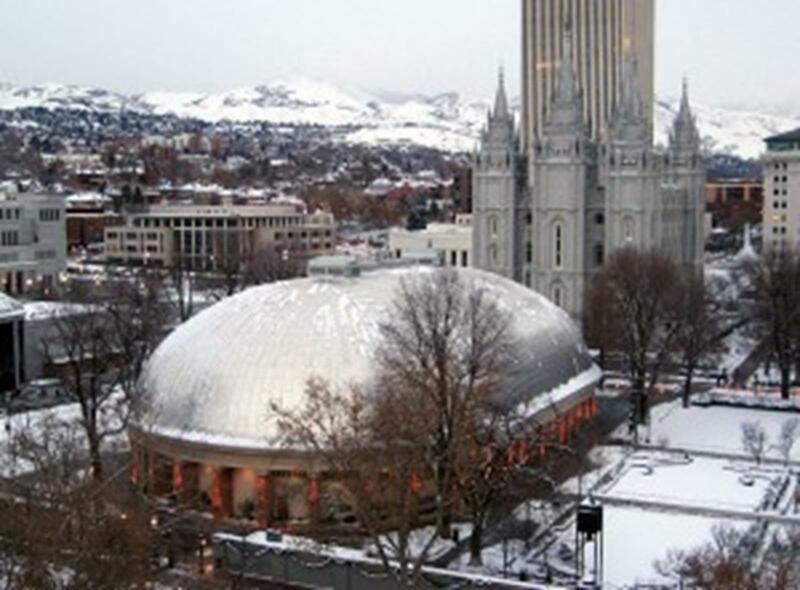 Shawn Stinson, director of communications for the Salt Lake Convention & Visitors Bureau, said although Salt Lake City is the worldwide center of the Mormon faith, the Church of Jesus Christ of Latter-day Saints, other denominations are represented in Salt Lake City as well. “Surprisingly, Salt Lake City is definitely a destination that intrigues and interests a lot of other religious groups,” Stinson said. “One, to learn a bit more about other religious groups and also to experience, and come to appreciate, others’ beliefs throughout the country, and the world for that matter”. Sitting in the Center of Historic Temple Square on the Salt Lake Temple. Courtesy of Jason Mathis. group travelers. Visitors can take a free tour throughout the sanctum’s landscaped grounds and explore more than 20 attractions. 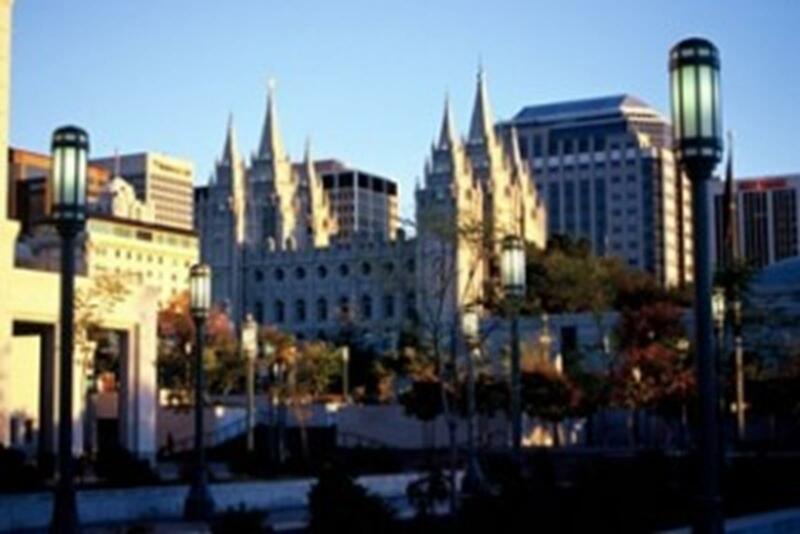 Temple Square is one of the most visited sites in Utah and offers various amenities for group travelers; reservations are needed for groups with more than 20 people and custom tours can be arranged for groups of 10 or more. In the middle of Temple Square stands the Salt Lake Temple. Although no tours are allowed inside the temple, this historic building is still remarkable to see from the outside. Built under the supervision of Brigham Young, the temple took 40 years to build. Wilford Woodruff, the fourth president of the church, finally dedicated it on April 6, 1893.
shaped concert hall is home to the world-famous Tabernacle Choir. Stinson said the Tabernacle Choir is a huge draw, not just for religious-based groups. 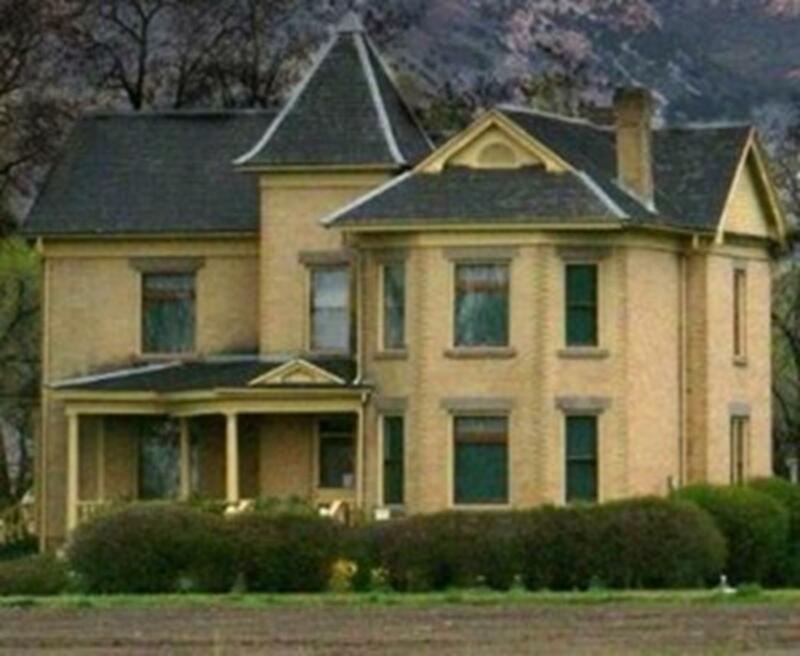 Built in 1875, the 150-foot-wide building is known for its sensitive acoustics that allow sounds to amplify all the way to the back of the hall. Inside the building sits the 11,623-pipe Tabernacle organ that can be heard during organ recitals Monday through Saturday at noon and Sunday at 2 p.m. All members of the choir are volunteers. Visitors can watch open rehearsals on Thursday beginning at 8 p.m. The Mormon Youth Chorus & Symphony mini-concerts are on Tuesday and Wednesday at 8 p.m.
hour-long shows highlighting local and international artists Friday and Saturday nights. Also in Temple Square are the Handcart Monument, tribute to the pioneers, Seagull Monument and the Beehive House, where Brigham Young and relatives lived in the 1800s. The North and South Visitor Center have exhibits about the history of Temple Square. 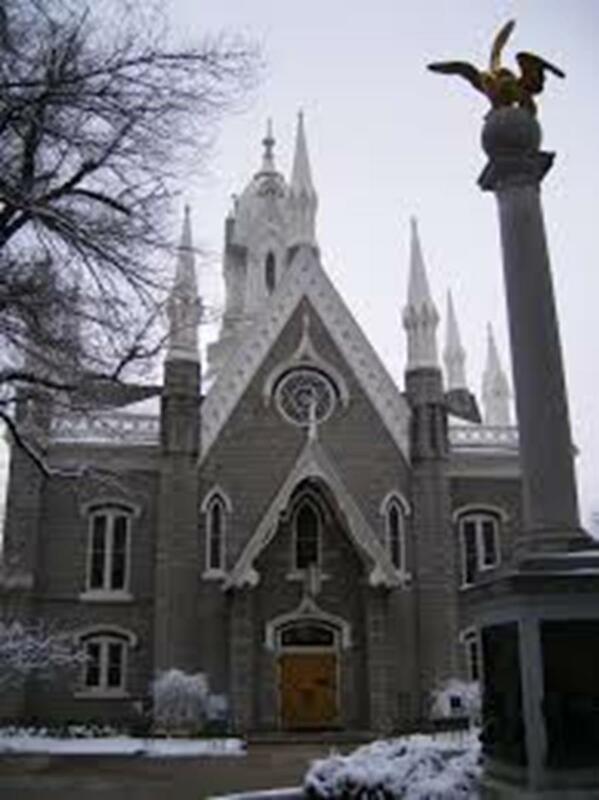 Built in 1903 and restored in 2003, the First Presbyterian Church of Salt Lake City is one of the three oldest religious buildings in the city. 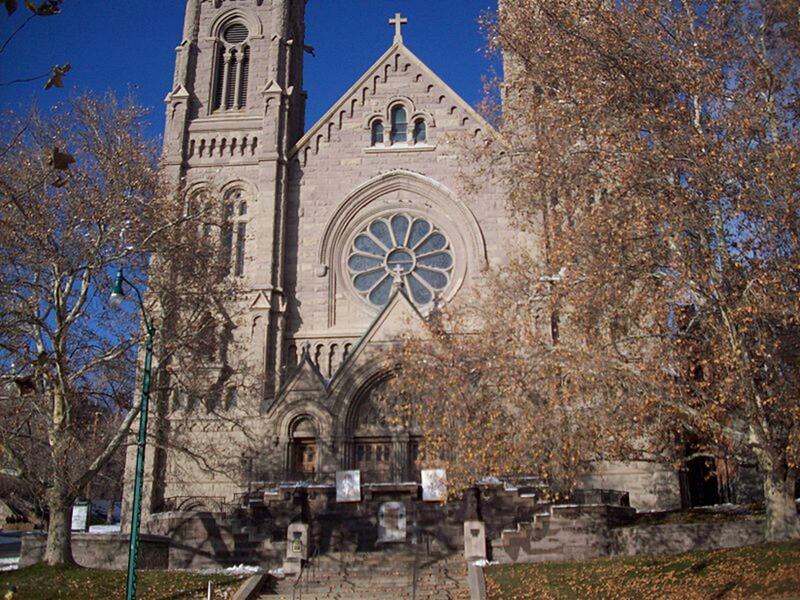 The church, located in the downtown area, was designed after Gothic-style cathedrals. The outside of the church is made of red sandstone and inside are large stained-glass windows; seven windows represent the chronological life of Christ. Contemporary worship begins at 9 a.m. with music by the “Rising Sound” praise band. Traditional worship begins at 11 a.m. 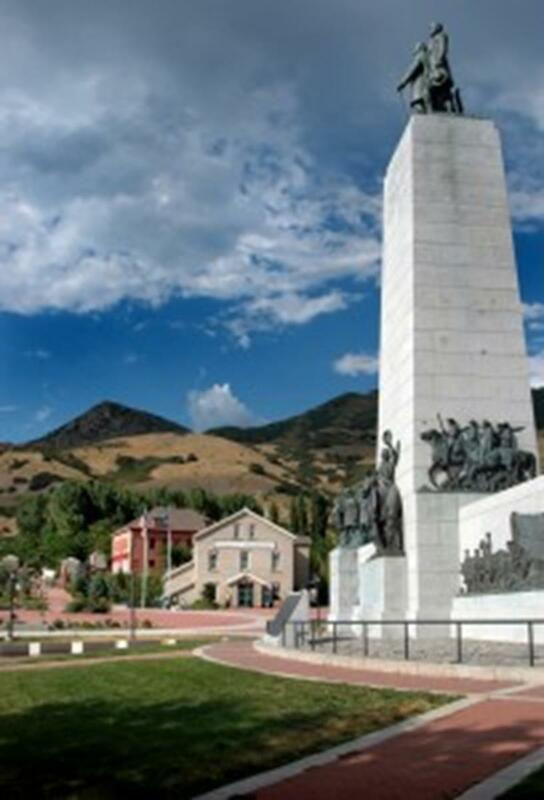 The Mormon Pioneer Memorial Monument near downtown Salt Lake City is dedicated to the 6,000 pioneers who died while making the journey to Utah from various parts of the world between 1847 and 1869 and is also the gravesite of Brigham Young. Young was the president of the Church of Jesus Christ of Latter-day Saints from 1847 to 1877 and the first governor of the Utah Territory. In downtown Salt Lake City, South Temple Street is lined with such churches as the Cathedral of the Madeleine, a Gothic-style cathedral, and St. Mark’s Cathedral, Utah’s oldest non-Mormon church. Red Butte Garden is Utah’s only conservatory. Religious travelers can take garden and natural area tours or go strolling through one of its 11 botanical gardens. The Gilgal Sculpture Garden, a public city park hidden between businesses and houses, has 12 sculptures and more than 70 stones inscribed with scriptures, poems and literary texts. This is the Place Heritage Park provides various events and activities for visitors any time of year; such as guided train tours, self-guided walking tours, pony rides and petting zoo, an authentic Native American village and blacksmith demonstrations. Church groups of all faiths have also mastered beneficial lessons in life from getting involved with the handcart trek programs and other youth activities offered. The Utah Museum of Natural History is also located on campus. Explore the exhibits on anthropology, geology and paleontology, plus theater shows. The Downtown Farmer’s Market and Art & Craft Market in Pioneer Park is held every Saturday (8 a.m. to 1 p.m.) from mid-June to mid-October and Tuesday evenings from August to mid-October. The market has more than 250 vendors with all different kinds of food and beverages, a multitude of fresh fruits and vegetables, and a display of arts & crafts created by local artists. The Utah Art Festival, held in June for four days, has grown to be the largest outdoor arts event in Utah. From visual to literary and performance art this popular festival attracts more than 80,000 patrons every year. The Wheeler Historic Farm, a Utah family farm museum, hosts the December Festival of Lights. Located in the Midvalley area, visitors can take a wagon ride around the lighted woods of the farm, sit by the camp fire and visit with Santa. Salt Lake City appeals to group travelers of all faiths – with its history, activities and cuisines. “There is a lot of diversity here,” Stinson said. “We’ve had the very good fortune of hosting a number of groups both meeting and convention wise, from the Evangelical Lutheran Women’s Group to the Southern Baptists annual convention. It’s really been fantastic”.